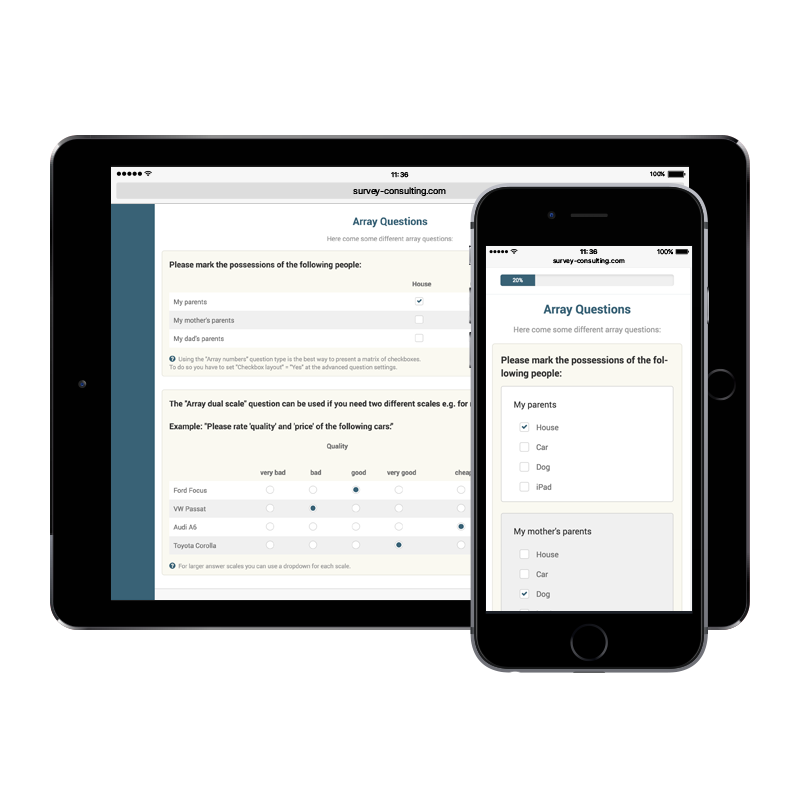 “Janus” is a fully responsive LimeSurvey template with a modern look and feel. 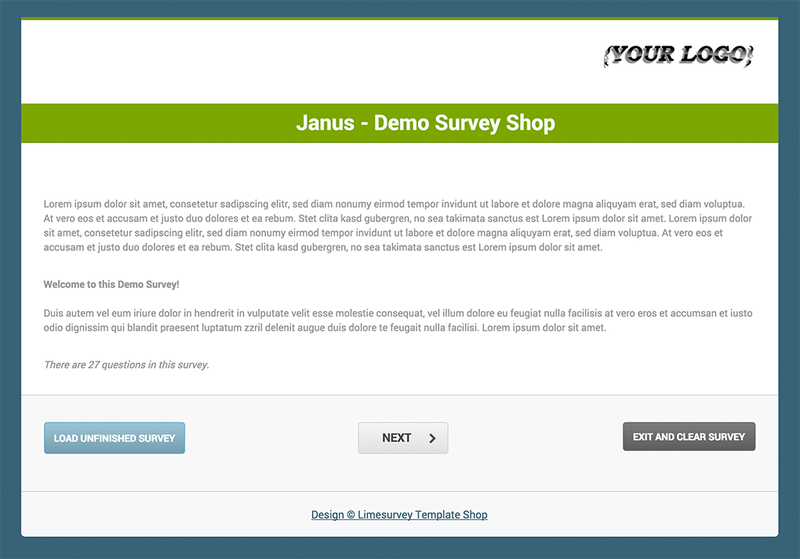 The modern layout of our “Janus” template is very well structured and makes use of a larger progress bar. 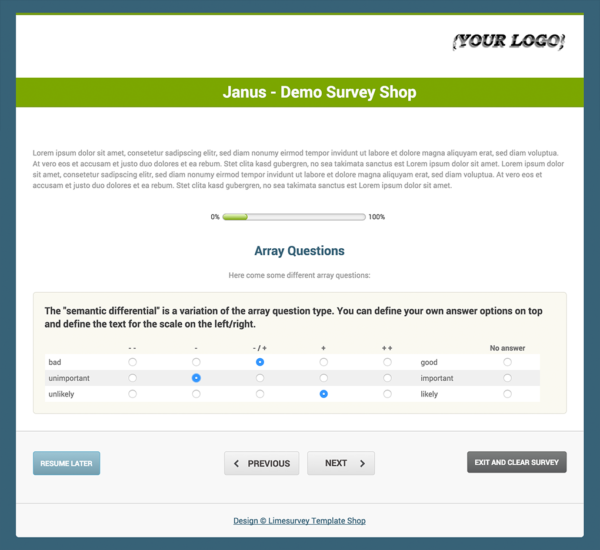 Your own logo can not only be placed on the left or right side but can also be centered above the survey. The trendy color scheme of this template focuses on blue, green and grey colors. 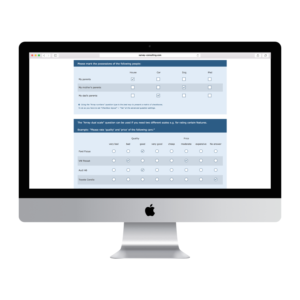 The old-fashioned Limesurvey buttons were improved to look nicer and additionally we created some nice icons for this template. 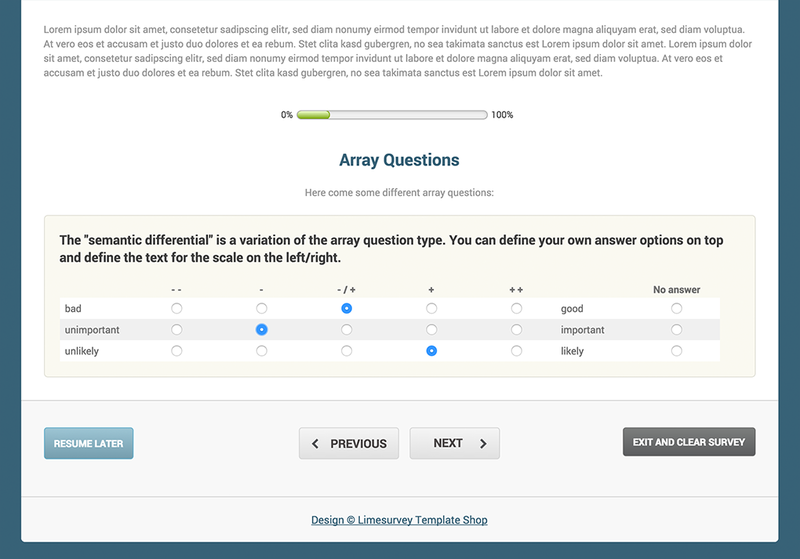 Like all other templates we offer, this template can easily be adjusted by adding your own styles at the main CSS file. 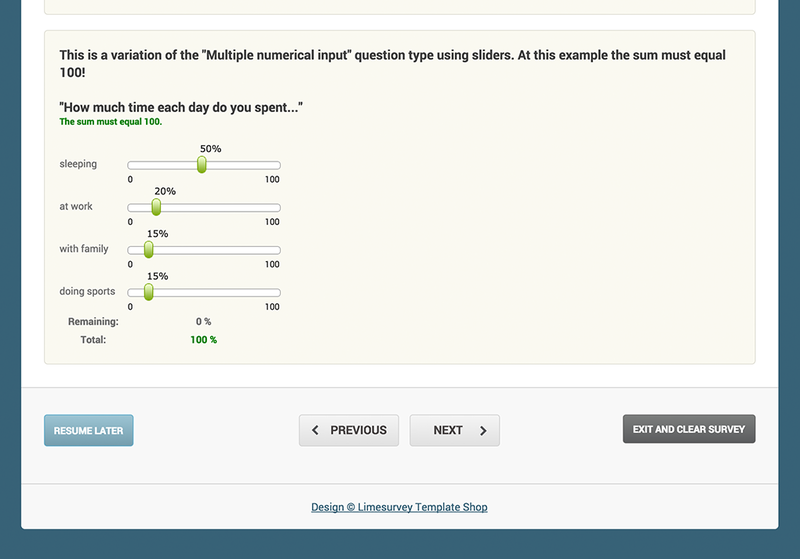 Added new feature for defining your own footer/copyright text. Fixed potential empty elements at config.xml.